Chase are some of the more well known bank-specific cards available and are very popular because of the trusted name, multiple options and lucrative rewards. 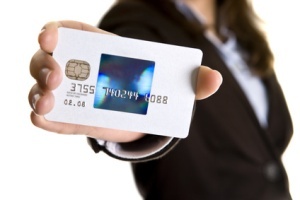 There is sure to be credit cards to suit your needs whether they are business, personal or both. Chase cards even come available for students to make the college experience easier while away from home. Chase is a known entity in the commercial world for banking, loans, retirement and of course the popular credit cards. They are well established in the industry and are trusted with financial dealings from small purchases to large corporate purchases. For credit needs Chase are a sure winner. For personal use Chase are ideal with a number of cards that give a variety of rewards. For example, the Freedom card is one of the cash back credit cards. It will garner you significant rewards including % cash back on all purchases, 5% cash back quarterly on selected category purchases and even a possible 10% cash back if you purchase through Chase at one of the Chase partner stores. For those who want to purchase a large item and pay it off over the course of a year interest free the Freedom and Slate cards both have a 0% APR introductory fee. There are no annual free credit cards. And balance transfer credit cards but the category where you can find the most versatility is the rewards credit cards. Chase credit cards’ rewards program comes in many types. You can get airline, hotel, travel, gas, retail and points rewards. They all work similarly in that the more you purchase the more rewards you get but each one is designed to concentrate on a particular item. For example, the airline rewards cards allow you to either use points per a specific airline or to choose from partners depending on the card. Similarly, the hotel rewards allows for specific hotels or reports or various accommodations from partners depending on the type of card. You can even get Amtrak Chase credit cards for those who frequently travel by rail. Depending on your purchasing needs you can choose the card the best suits your individual style. Chase cards for business also come in a variety of styles to suit your needs and spending habits. If you are part of a business where larger purchases are made that are paid off each month, there is a card for you. Or, you can choose a card with no annual fee. For multiple purchasing opportunities the reward cards for either reward points or cash back are ideal. Business cards are designed specifically for the small, medium sized or large business needing charging capabilities. Each one comes with online access, customer support and a variety of management tools to make your financial operations easier to navigate. Chase understands how important it is to have buying power and easy to use financial tools. Their variety of cards for businesses makes it ideal for any business. You can compare each one side by side to get an idea of the benefits and rewards that come with each card to see which one will benefit you the most. When you go away from home for the first time to attend college it can be a rather scary prospect, especially if there is an emergency. Having a credit card to use for every day expenses and in case of emergency can be a comfort when parents are so far away. However, parents want to have some control over spending in order to keep it reasonable and not pay any more than necessary. The cards for students offer flexibility and security for the college student. In addition, you can earn points good toward music, movies and more even on Facebook. You can use them for purchases or transfer them to friends if you so desire. There are a number of ways you can apply for Chase credit cards. You can apply online via a website application form. Simply choose the type of credit card you want to apply for and then submit all the pertinent information. When you choose to apply online, make sure you are doing so from a secure site and have all the relevant information on hand to make filling out the form faster and easier. You can also apply via mail with an offer or hard copy application. It is actually safer these days to apply online via a safe site than it is via mail. However, make sure you are going to a legitimate site in order to do so. The application process is generally quick and easy and in some cases you may get instant decisions on your approval. Chase cards are accessible to those who have excellent credit or decent credit. For those who have good credit but not excellent you may find that you have fewer advantages, more limits and a higher interest rate. For example, instead of a welcome 12 month 0% APR you may only get that for 6 months if your credit is not pristine. Plus instead of a 13% APR after the introductory offer you may be more in the 22% range. Of course, to prevent these issues, make sure you have good credit and check it regularly. Unfortunately, for those who have poor credit you are likely not going to be eligible for a Chase card. For those with poor credit histories getting any unsecured card is likely not possible and you may need to move toward a secured card option. However, if you are looking for credit cards you will not find one in a secured option as they moved away from that business some time ago. If you have good to excellent credit, though, you may be able to get accepted for Chase cards and enjoy the advantages of being a member.